No one wants to be embarrassed by a squash racquet that breaks in the middle of an intense doubles squash game. 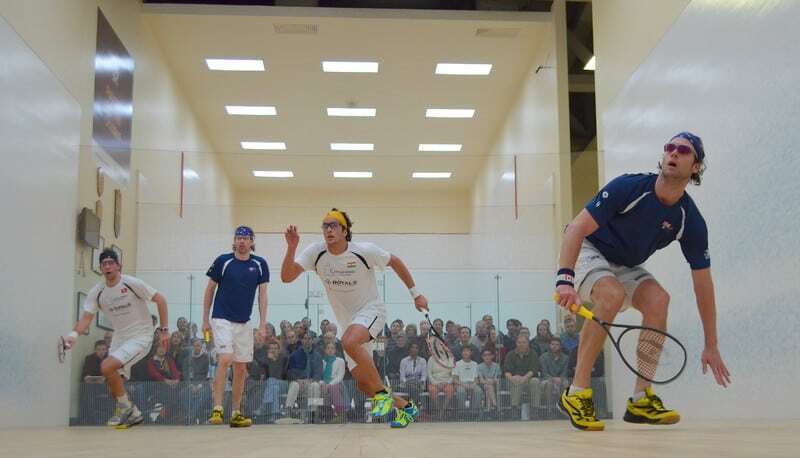 Unfortunately, many players who begin to fall in love with the game of doubles squash play with their singles squash racquet. 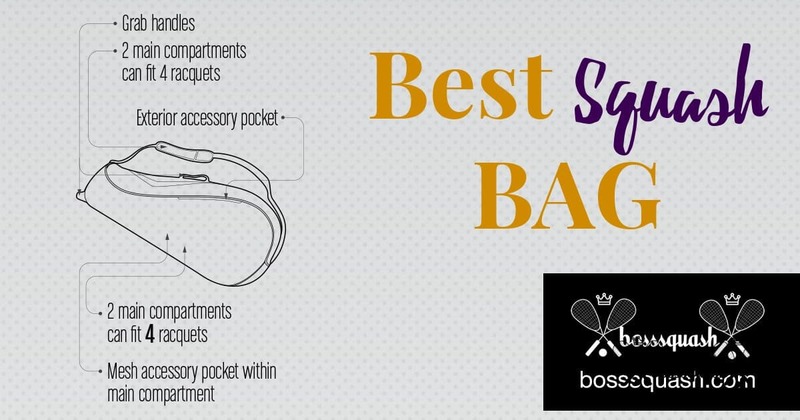 If you intend to be a competitive doubles player, you want to have the proper equipment. If you want to play doubles squash, you can avoid that embarrassment by having a proper doubles squash racquet. As in many other racquet sports, a squash racquet can have subtle features that best suits your style of play. The leader for doubles squash racquets is Harrow, whom we feature below with a great selection of doubles squash racquets. Along with Harrow racquets, Black Knight is our other favorite doubles squash racquet manufacturer. 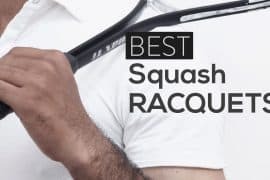 If you are playing at a consistently competitive level, we have researched some of the best squash racquets that can help you enhance your performance. The Harrow Vapor gets its name because of the vapor trail saw after the swings from this racquet. Just kidding, but this is one of the best racquets around. The Harrow Vapor is a top-rated racquet for the intermediate players and its qualities come at a top-end price. It gives the ability to deliver great power, control, and responsiveness on the court. The one negative with the racquet is concerns over its durability. It is susceptible to breaking and seems to be a little fragile. Many players do complain that for the price, they expect the racquet not to break as it gets expensive to replace. The Harrow Stellar has a large head size similar to that of the Harrow M-140 and also shares the M-140 playing characteristics. But its frame is slightly more balanced with a convex inside head for additional stiffness. It weighs 145 grams and is a favorite on both singles and doubles courts. Compared to the M-140, which is an SDA Tour favorite, the Stellar provides a slightly different playing experience because the additional stiffness provides added power to the Stellar. So if you want more power but like the racquet weight of 145g, the Stellar can be a great choice. The Harrow Bancroft Players Special is one of the most classic pieces of sports equipment out there. The Bancroft players special squash racquet has a slightly heavy head and has that stiffness that gives you enough control to fight the tough pace of the hardball. It weighs 150 grams and is strung with a Barrage string at 32lbs. The Black Knight Great White was designed to meet the specifications of the legendary John White (Great White). With this racquet, you will experience excellent power and maneuverability. The power is enhanced by its thick vibration dampening frame and its stiffness. It features a Power Surge shaft together with Black Night’s latest technologies like NCT, I6K, Power of 6 and Thermal Core technology. 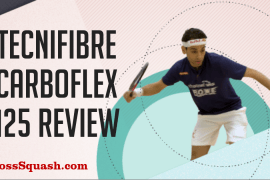 The racquet’s 16X19 string pattern, and the forgiveness with the 500 sq. cm head gives you a lot of control for singles and hardball doubles that plays very fast and powerful. The Black Knight C2C nXS is a great racquet for singles or doubles players, and reps Black Knight’s Canadian roots with a maple leaf design. Even as an American who cannot stand seeing Canada hockey beat the Americans, this racquet design is awesome. The Black Knight C2C nXS is well balanced and maneuverable with its large hitting surface, moderate stiffness, and lightweight construction. Plus, the weight is just about right – not too heavy, not too light. Black Knight racquets are known for their durability. This racquet will be a weapon for battle for many years. 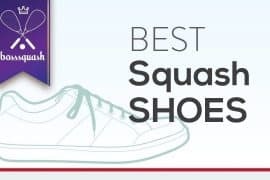 Squash racquets vary in price but it is a good idea to buy equipment that you can comfortably afford. You may also want to start with a cheaper racquet if you are a squash beginner and that may mean spending $30-$50 for a starter racquet. Squash racquets that cost $100-$150 offer the best value and are suitable if you are playing at an intermediate or advanced level. When looking for quality, consider the material, shape of head, balance and weight of the squash racquet. The best way to determine the quality of a racquet is by handling it to see whether it is the most effective for your skill-level or game play. Aluminum and graphite composites are the most used materials for making racquets. If you decide to buy a cheap racquet, then it will most probably be made out of Aluminum. Racquets made of aluminum are often heavy and very durable. But they are not good at absorbing vibrations generated when you hit the ball. Lighter and more maneuverable racquets are often made of graphite composites with titanium and carbon added to the base. But you cannot go beast mode with them because they break so easily. Balance simply means the distribution of weight. Racquets that are head light have less weight in the head and more weight in the handle. They feel lighter and you can maneuver them easily. But head heavy racquets have heads that hold most of the weight giving you more power with less effort. You can also opt for the even racquets that have evenly distributed weight allowing for faster swing without sacrificing power. Squash racquets normally weight 110-170 grams and the best way to choose the weight that works for you is to test the racquet. Lightweight racquets (110-145 grams) allow for quick wrist movement and quick movement of the head. This provides a good feel, aid in deception in front of the court and easier control. A heavyweight racquet (145-170 grams) provides more power to your shots, offers stability and a smooth impact through the ball. All squash racquets have a standard handle size but the handles can come in different shapes. Rounded handles have that baseball bat feeling to them while rectangular handles give a more tennis racquet feel. This is not about the graphics or color but about things like the racquet’s throat design. A closed throat provides a larger sweet spot and usually generates more power. But an open throat is supposed to provide control and stability because of shorter main strings on the racquet. 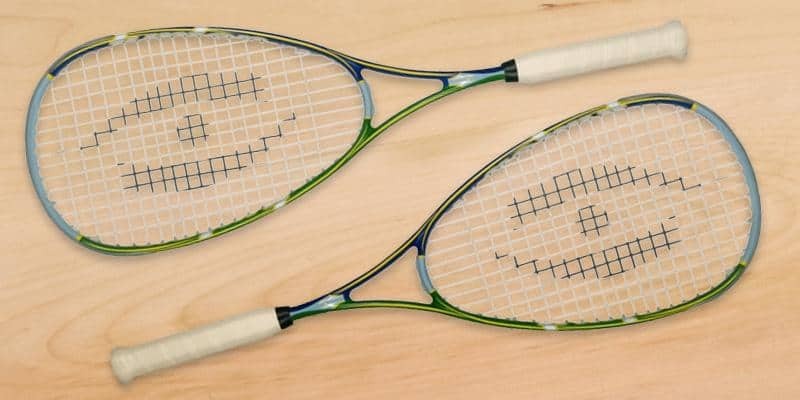 If you are interested in both singles and doubles squash, then it makes more sense buying a racquet that allows for both. Try focusing on how a racquet can enhance your performance without compromising your play style. Your physical attributes also determine whether a racquet will be the “best” for you as an individual player. After buying the right doubles squash racquet for you, try replacing the strings on an annual basis to lengthen the lifespan of the racquet. If you are just starting out, the Harrow M-140 will be a great option, but if you want more control choose the Harrow Bancroft Executive .